Here at Winchester Golf Academy we believe that ladies deserve custom fit clubs. 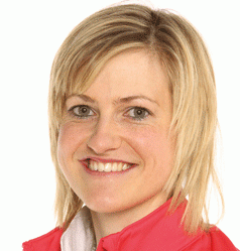 So, on Friday 26th May our very own Emma Booth will be holding a custom fitting day specifically for our ladies. This is a unique opportunity for ladies in the area to be fitted by a female professional. We will check your current clubs to see if they are set up correctly. CLUB LENGTH- this involves taking a measurement from your wrist to the floor to ensure that you have exactly the right length club. This will help you to strike the ball effectively and consistently. GRIP SIZE- we will closely check that the size of your grip is correct. This is vital because it affects your grip pressure, swing speed, hitting distance and your ability to hit the ball with the club face square at impact. CLUBHEAD DESIGN- the perfect clubhead design is different for every person. We will find the perfect design for you to suit your swing. This can improve the consistency of your shots and enable you to make the necessary adjustment to things like the height of your shots. THE SHAFT FLEX- the shaft flex greatly affects the distance you can produce. 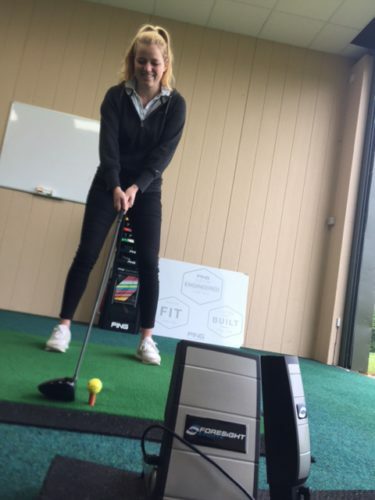 We will assess your swing speed using our GC2 ball flight monitoring system. This will help us to ensure your shaft is not too heavy or too light for your swing and provide you with the shaft that best suits you. You will also be able to test current ladies equipment to compare. Many ladies might think that their golf is not good enough to warrant a custom fitting, but this is simply not true. You owe it to yourself to have the best possible clubs to give you the best opportunity to play well! Appointments will be 30 minutes but if you require a longer session, please let us know. ← What’s in Sergio’s Bag?